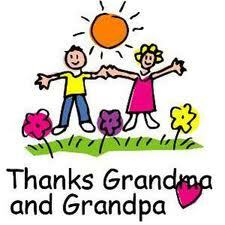 The role of grandparents makes real sense when seen in the Biblical light of a Judeo/Christian worldview. Outside of that, we are simply propagating the earth. Again, the overarching theme of the Old and New Testament was God’s love for man/creation and His plan for restoration from man’s fall (see Oct 25 post: A Unified Old and New Testament?). Man is instructed to believe and worship the one true God, follow His precepts and instructions, and pass them on to one’s children (see Deuteronomy 6:7). Yes, we are to simply believe and teach our children about God, and they are to believe and teach their children about God, and they are to believe and teach their children about God. Period. Indeed there are blessings in this – Proverbs 17:6 says that “Children are a crown to the aged, and parents are the pride of their children.” Of course it’s nice if they win a volleyball scholarship and become an architect along the way, but the right and purposeful plan is to have them grow up to believe and worship the one true God, follow His precepts and instructions, and pass them on to their children. Unto many generations. That being said, there are 4 key essentials for grandchildren, whatever age or gender. Ideally start this when they are young, even as infants (or even during pregnancy!). But it is really never too late. God is a forgiving and patient God of grace and mercy for all of us. Pray for future belief and a hunger for God’s Word – they may believe as young ones but the goal is to have them walk closely with their God as they grow and mature in Biblical wisdom and knowledge of God’s Word. Pray for their future spouse and family – God is a good Father who does not give a stone when his child asks for bread. Pray boldly for future generations through God ordained unions of future spouses and their subsequent children. Model a life that honors God and His Word – while no one is perfect, show your grandchildren that you honor God and read and obey His Word. They will be watching and noticing. Teach them of ways and instructions of God – read the Bible to your grandchildren, teaching God’s precepts and ways of the Lord. Don’t just leave it for Sunday School – that’s good but recent studies show it’s clearly not enough. I’m 8 years old. I have no idea what she is talking about. But I never forgot it. Years later when Debbie, my wife of 34 years, met my praying grandmother, she told me that we should do this type of praying for our children someday. We did, and still do now for them and future generations. My grandmother started something in me that my parents did not provide. Before she died late in her 90’s I was able to thank her for her obedience, her diligence and for the impact she alone had on many coming after her. The power of her seeding prayer manifested fruit in the lives of ultimately my whole family after I became the first believer in my immediate family at age 14. Today myself and my 3 siblings all have raised Christian families that believe in the one true God, follow His precepts and will pass them on to future generations. Are you praying for your grandchildren and preparing the next generation?